Sherlock Holmes is the greatest fictional detective in history. A Study In Sherlock - Part 1. 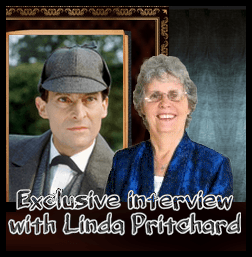 Leslie S. Klinger is an acclaimed expert on Sherlock Holmes, Dracula and the Victorian era. Maybe his most famous work is The New Annotated Sherlock Holmes. He worked as a consultant on the Sherlock Holmes movies starring Robert Downey Jr.
A Study In Sherlock - Part 2.